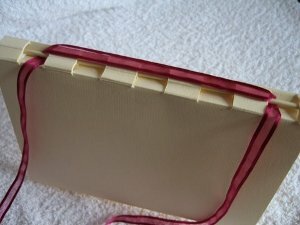 Make your own minibook, and here's how to in easy to follow steps. ... and fill it with memories! 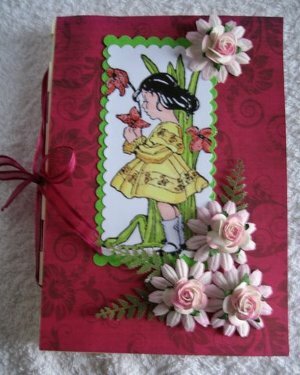 This pretty project would make a wonderful small gift for someone. It could be filled with photos and stories, poems and momentoes of the person you are making it for. Or you could make it for your self. Store all your little treasures in there and look back on them in the years to come. 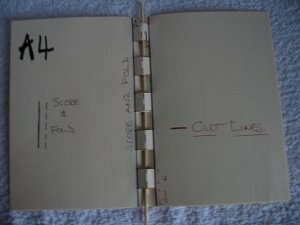 For this minibook you will need an A4 card and a bamboo skewer. These you can get form the supermarket for a few pence, but you will have quite a lot in the bag..... so you'll have to have a BBQ.... to use them all up. 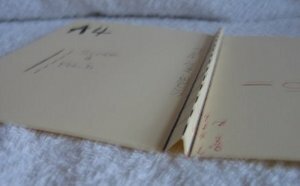 This is how you will make the booklet. You should now have a column in the centre that looks like the photo. 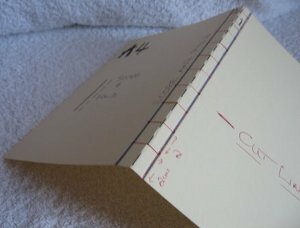 Along this centre panel you will mark off every 2cms (the horizontal lines) and this is where you will cut the spine. ...and this is what you should have. For my booklet I decided to add three pages, but yours can be whatever you want. It will be more tricky to work with if you add too many pages. 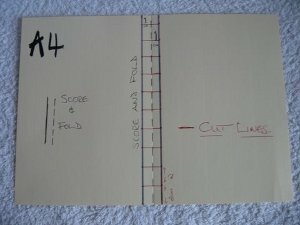 You will need to repeat the score, fold and cut on each of your pages. Then place them all together (one on top of the other) for the next step. Through each of the cuts we are going to weave, in and out, the bamboo stick. Make sure it loops through all the pages. 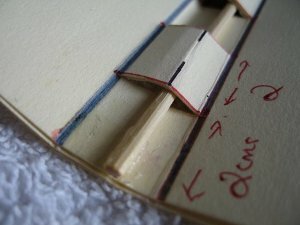 This will stop it falling out of the book, so leave it to dry and then cut off the extra length from the stick. Does your booklet look like this so far? You can decorate the front of your booklet at this stage. But this photo shows you how to add the ribbon. I have looped mine through the top and bottom openings. Make sure it is long enough to wrap around, and tie in a bow. I haven't shown the inside because you can decorate yours as you wish. 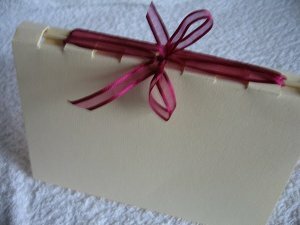 You could make your minibook for a wedding gift, a birthday, someones graduation or another special occasion. 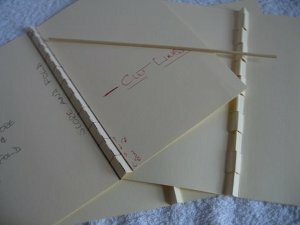 How about this for an idea...if you have grandchildren make a little story book for them.